Ari and Teddy were known for not getting along. It didn't start off well but we tried to overcome it and did for a few months. Starting out Ari wore a muzzle and eventually did not have to wear it. Then one day when I can home from work, they got into a fight over me and from then on it didn't work so I decided to manage the situation. 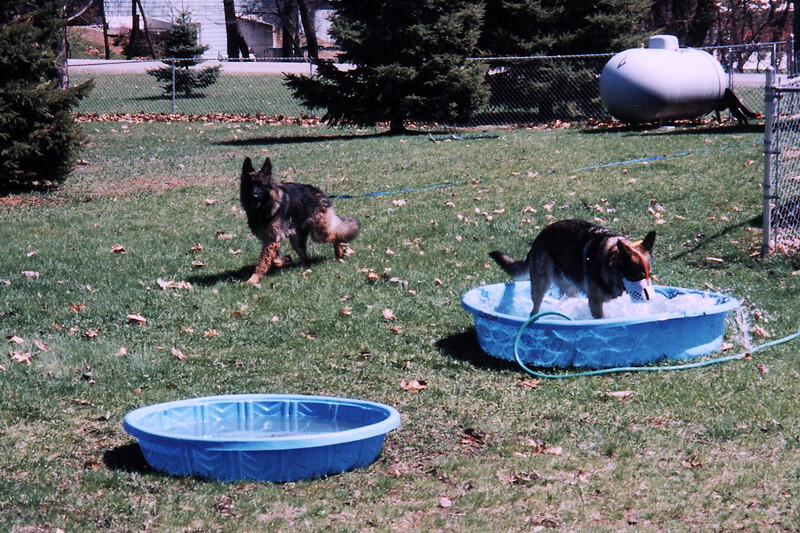 With enough separate yards it worked but always needed to be managed up until the day Teddy left us at 9.5 years old.